Forest Recycling project (FRP) is a social enterprise and charity engaging with organisations and communities in North East London to encourage sustainable living. 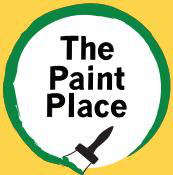 We are looking for a Business Development Manager to develop and grow The Paint Place, our flagship re-use initiative. Already one of the most established operations of its kind in London, we are ambitious about the prospects for further growth. As well as overseeing day-to-day operations and customer service, we need someone with the strategic insight to identify and capitalise upon the undoubted scope for expansion for the Paint Place as well as FRP as a social enterprise. We are open-minded about your precise background to date. You might an experienced professional seeking a shift in sector to ‘do more good’ alongside ‘doing well’; or a budding social entrepreneur, wanting to prove themselves in a well-established setting. You will certainly bring a deep commitment to environmental and social justice, with a proven track record of successful delivery, and be drawn to the prospect of developing a unique social business. We are open to creating an incentive package for the right candidate to supplement the salary on offer where growth targets are met. Details of at least two referees, including your current or most recent employer. Please note that referees will not be contacted without your prior consent and not until the job offer stage. For a confidential discussion about the job, please call FRP’s office on 020 8539 3856 to set up a conversation with Fitzroy, or email him at the above address. Closing date for applications: Monday 2 March 2015 at 5pm. Interviews (to include a presentation element) will be held on Thursday 12 March.